Exactly what is love? Can an emotion be summed up in a few words? It appears as if people from all walks of life have been trying to answer these questions since the beginning of time. For example, Plato attempted to define love in general via the Symposium in 360 B.C. while singer Pink shared her views on romantic love through the lyrics of her song “True Love” in 2013. With the following 200 all-time favorite love quotes from famous books, movies and celebrities we try to explain what love is. Some answers are humorous whereas others have a more serious tone. 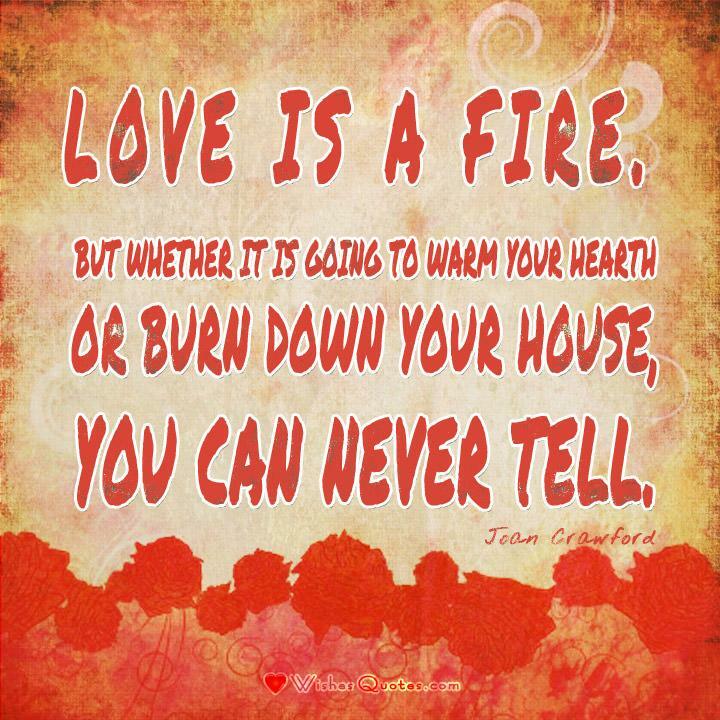 “Love is a fire. But whether it is going to warm your hearth or burn down your house, you can never tell.” – Joan Crawford. Hollywood icon Joan Crawford, who was depicted as a “troubled soul” in the 1981 biopic Mommy Dearest, spoke of the complexity and power of love during an interview in 1954. It is worth noting that the late actress may have been referring to one or more of her romantic relationships, platonic friendships or both when she shared her views on the topic. In either case, by suggesting that love’s influence on people is unpredictable, Ms. Crawford seemed to regard love as a gamble that people choose to take on others. 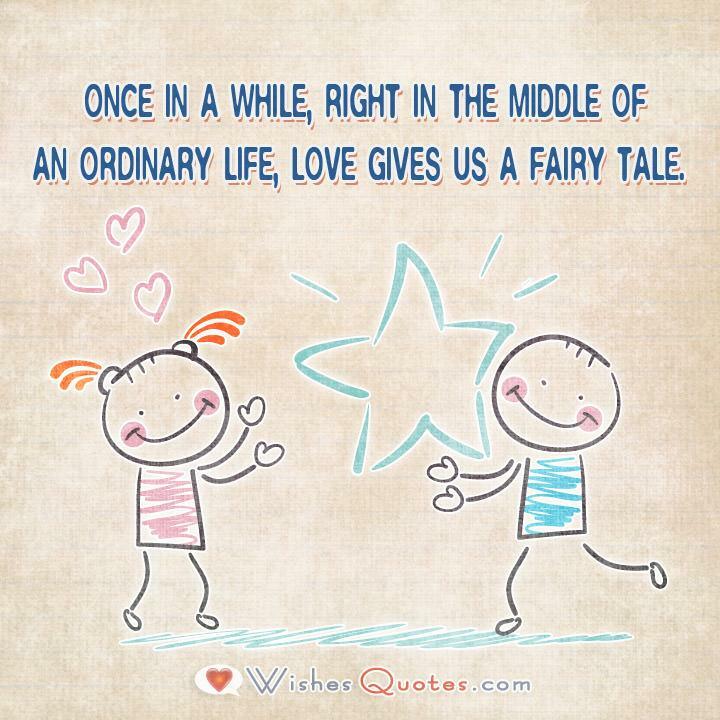 “Once in a while, right in the middle of an ordinary life, love gives us a fairy tale.” Putting one foot in front of the other becomes the comfortable rut in which we find ourselves. Without a plan to do so, we have become complacent, mundane. We’re so busy putting out small fires that demand immediate attention that we lose sight of goals and possibilities. Suddenly fate intervenes and the love of our life joins the treadmill we’re on. At once we feel a stirring of our old dreams and aspirations. Fantasies of a bright, exciting future (that we’ve long ago lost sight of) reappear and we feel the thrill of the future as only being in love can provide. 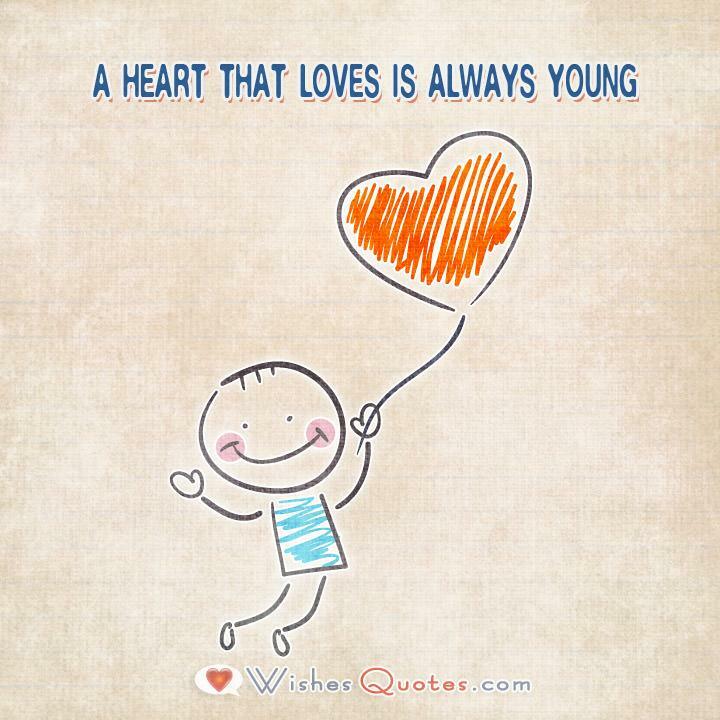 “A heart that loves is always young.” – Greek Proverb. When we think of youth and childhood, specific attributes come to mind. Fun-loving, adventurous, trusting, wonderment and carefree are just a few of those descriptions. Why then, when we age, do we lose the intensity of these wonderful states? Perhaps we’ve fallen, been disappointed or hurt. 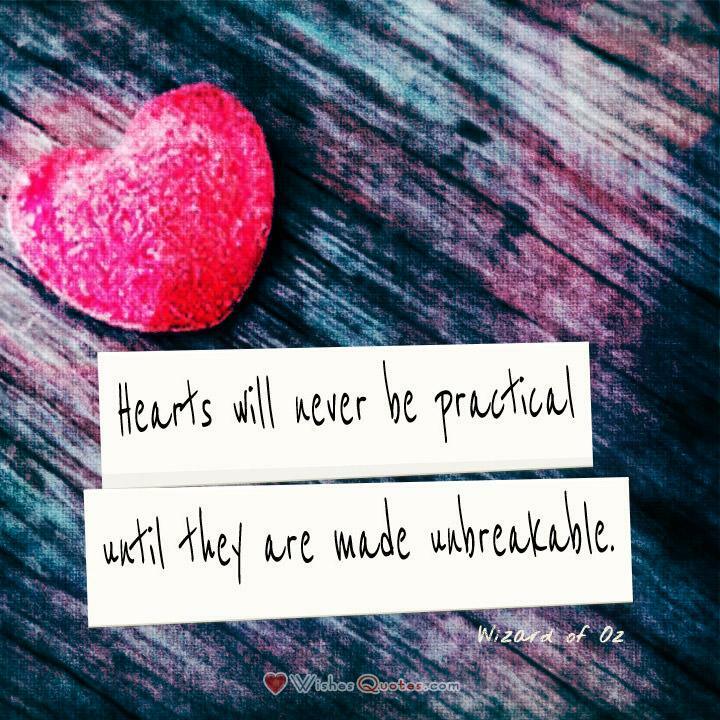 Our hearts bear old scars that have made us more resilient, while also making us harder. Falling in love softens those calloused feelings, allowing us to become childlike again. We laugh, we trust, we become fully present in each moment our lives. Don’t settle for a relationship that won’t let you be yourself. – Oprah Winfrey. What makes me — ME? As we mature, we become more and more certain of those answers. There are elements of ourselves, both good and bad, that we embrace as points of our unique character and personality. In order to love someone else, we must make ourselves somewhat vulnerable or we do not experience love fully. In doing so, we must be aware that becoming flexible toward another person’s needs does not necessitate the relinquishing of the things that define us. If someone truly loves us, they do not want that to happen to us either. Love means wishing the very best for our partner which is what attracted us to them in the first place. 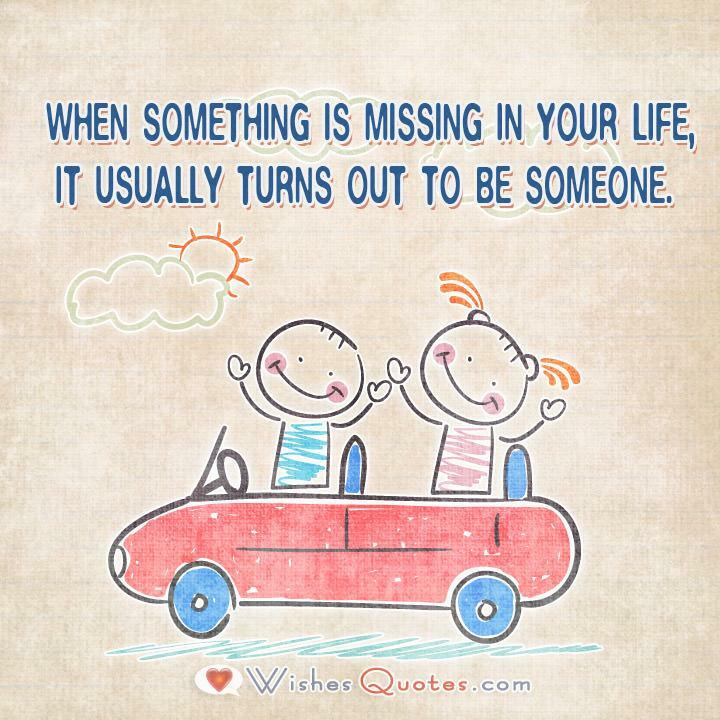 “When something is missing in your life, it usually turns out to be someone.” – Robert Brault. We like to think we are “complete” and feel good about ourselves, striving to be secure and happy even when we’re alone. But, sometimes we get this inexplicable feeling that something is missing. In our careers we often operate in a “team” environment, sharing the work load. In our personal lives, when we feel there’s some kind of void, we may be feeling the unanswered need for a teammate. This is someone to confer and plan with, someone who understands and approves of our methods — in short, we are missing a “partner.” A partner is that one person who is ALWAYS on our side. “Love is of all passions the strongest, for it attacks simultaneously the head, the heart and the senses.” – Lao Tzu. Through his writings or teachings, noted philosopher, poet and purported founder of Taoism Lao Tzu seemed to take an ethical or spiritual approach to deciphering the mystery of love. There are three “jewels” or “treasures” in Taoism: compassion, simplicity or moderation and humility; and in the Tao Te Ching, which has alternative spellings that include Daodejing and Dao De Jing, Lao Tzu discusses all three, in addition to the power of love, by suggesting that the overall impact of love is felt more intensely than any other emotion or passion. “Without a single thought, two hands collide and the world finally makes sense again.” – Kayla Dawn. When left to our own devices, we sometimes have a tendancy to spin wildly in various directions. We are the only person upon whom these actions have an effect, so why not? Then, out of nowhere, we gain the support, wisdom and varied perspective of someone we love and respect. We have fallen in love. The outcomes of our actions suddenly matter and we consider other people in our decisions. We begin acting as a part of a larger whole, and puzzle pieces suddenly fall into place. We no longer struggle for answers to unasked questions. “Love is the only sane and satisfactory answer to the problem of human existence.” – Erich Fromm. In his book, the Art of Loving, famed German philosopher, psychologist and sociologist Erich Fromm asserted that love is a learned trait; and in a world that he described as “production-centered” and “commodity-greedy,” Mr. Fromm further asserted that there are some people who choose to use love as a buffer against the harsh realities of life rather than succumb to them.Based on his aforementioned theory, it appears that Mr. Fromm felt that individuals who are against ego-centrism and materialism can, and do, try to affect positive change via love. “Even when love isn’t enough…somehow it is.” – Stephen King. Legendary author Stephen King is famous for his best-selling, science fiction, suspense and horror stories, so hearing him discuss the subject of love may seem more than a little unusual to those individuals who are familiar with his work; nevertheless, Mr. King’s takes a turn toward the sensitive by suggesting that love is plentiful. As such, during those times when people may feel that they are lacking something tangible or intangible, love has a way of being just the right size or to fill those particular voids in their lives. “Happiness is the china shop, love is the bull.” – H.L. Mencken. Satirist and critic H.L. Mencken, also referred to as “the Sage of Baltimore,” was known for his one-liners, especially when he expounded on the subject of romantic love. By equating happiness with something as delicate as tableware and love as something as strong and destructive as a large animal, Mr. Mencken was suggesting that love is an extremely powerful emotion that can have a welcomed or unwelcomed effect on the involved parties. It is unknown whether Mr. Mencken was speaking in jest or reflecting on the loss of his wife. “Love is an act of endless forgiveness, a tender look which becomes a habit.” – Peter Ustinov. Actor, author, filmmaker and one-time UNICEF Goodwill Ambassador Peter Ustinov’s definition of love suggests that it is an emotion that can be subtle, involuntary and unconditional all at once. Whether or not Mr. Ustinov was specifically referring to one or all three of his marriages at the time he was discussing the subject of love is uncertain; however, it can be argued that his description of love can be used to describe both romantic and platonic relationships because he equated love with compassion and affection through his choice of words. “I have found that to love and be loved is the most empowering and exhilarating of all human emotions.” – Jane Goodall. Dame Jane Goodall has worn many hats throughout her noteworthy life. She is, among other things, an expert primatologist, ethologist and anthropologist. Her decades-long work with and love of wild chimpanzees has been well-documented and could very well be why she chose to define love the way she did. By asserting that a person is strengthened or renewed through giving and receiving love, Ms. Goodall seems to echo the sentiments of Lao Tzu and, arguably, those of Joan Crawford, Stephen King, H.L. Mencken, Peter Ustinov and Erich Fromm as well. 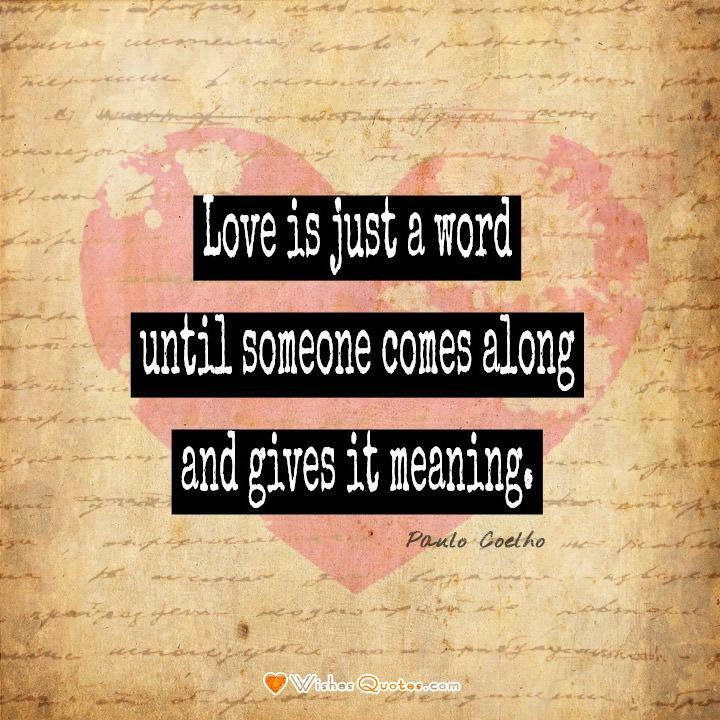 As evidenced by each of the aforementioned comments, different words can be used to define love, but the impact and importance of love seems to be universal. Hatred paralyzes life; love releases it. Hatred confuses life; love harmonizes it. Hatred darkens life; love illuminates it. – By Martin Luther King, Jr. I have decided to stick with love. Hate is too great a burden to bear. – By Martin Luther King, Jr. Sometimes the heart sees what is invisible to the eye. – By H. Jackson Brown, Jr.